Notice below for full Wey Hill resurfacing. Please note this is not for patched pothole repairs. SURREY COUNTY COUNCIL IN EXERCISE OF ITS POWERS UNDER SECTION 14 (2) OF THE Road Traffic Regulation Act 1984 and all other enabling powers hereby gives notice that no person shall cause or permit any vehicle to enter or exit (B2131) Wey Hill Haslemere between its junction with St Christopher’s Green and its junction with Vicarage Lane, a distance of 850 metres. The restriction will not apply to emergency services, residents or businesses. The restriction specified above is required to allow Surrey County Council to carry out winter damage repairs. The closure will commence on 25th November 2013 for a period of four nights between the hours of 8pm to 6am. This period may be extended by the County Council if required. Traffic will be diverted via Lower Street, Wey Hill, Hindhead Road, Portsmouth Road, A3 Portsmouth Road/Milford By-Pass, Guildford and Godalming By-Pass Road, Portsmouth Road, Cherry Tree Road, Haslemere Road, Grayswood Road and High Street or this route in reverse order. This entry was posted in Haslemere first, Surrey News Updates and tagged Councillor, Haslemere, Independent, Surrey County Council, Wey Hill on November 25, 2013 by admin. The next meeting will be on Friday 13th December 2013. LAC Review: SCC Highways parking team are evaluating and reviewing the changes to on street parking introduced earlier this year, including the residents only parking scheme and lengths of yellow lining. There is no intention to revoke the ROP scheme, and I have discussed this with the parking team, assessing the measures in terms of access, safety and efficiency. In some areas of the scheme the on street parking capacity is not being used efficiently. There have been some displacement effects. The parking team will supply me with a map of any alterations proposed which I will circulate before the LAC. All changes will be taken to the Local Area Committee for discussion on December 13, 2013. Any alterations approved by the committee will then be advertised in the Haslemere Herald for public consultation. The parking team will collate all feedback and any changes to the on street parking provision will be voted on at the March, 2014 LAC meeting. Weydown Road: Double parking at the bottom of Weydown Road is a cause for concern as identified by the residents’ association and Waverley police. I discussed the possibility of pushing through the parking proposals for Weydown Road (a series of parking bays on alternate sides of the road) as an emergency measure with the parking team and the chair of the LAC. It was considered that the proposals should follow the due process, and be taken to the LAC in December. I have agreement from both parties that the proposals will be implemented as a matter of priority following the March LAC meeting. An interim measure of some additional white lining to improve access for one property has been agreed. The issue of speeding cars has also been identified as an issue on Weydown Road. I requested to PC Canon that some action should be taken. He has confirmed that Weydown Road will be placed on the Waverley Borough Council Speed Management Plan which will ensure it gets an appropriate level of enforcement/police activity. Junction Place: SCC parking team has agreed to remove the double yellow lines on the slip road and restore the situation as it was before. Currently cars are cutting through the slip road at very high speeds. The recent bad weather has resulted in delays to some Project Horizon repairs. These took place on 19th November. LAC funds have been allocated for a feasibility study to understand why the road under Fosters Bridge floods. Local residents with expert knowledge suggest improved drain clearance would greatly help the problem. I have included a bid to the LAC for any structural improvements identified in the report, for example, an additional culvert to divert run off during periods of intense rainfall. Received confirmation that the public inquiry into the planned refurbishment by Waverley Borough Council of the Wey Hill Fairground site would be held in April 2014. The venue for the inquiry is located in Godalming. Given the importance of this site, and the strength of public concern about its future I believe the meeting should be held in Haslemere. I made contact with the PINS case officer to understand who had made this choice. He confirmed that the responsibility for venue choice lies with the applicant, in this case WBC. PINS sets certain criteria for venue selection. Haslemere Hall was the obvious choice, but is unavailable over the 3 days set for the inquiry. I understand that discussions are being held with WBC to see if an alternative venue in Haslemere can be found. Met Headteachers at Shottermill Infant and Junior Schools to understand how I might support them. 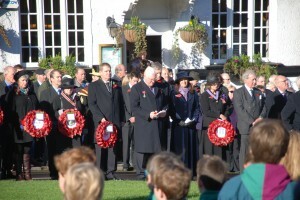 Represented SCC at the Haslemere Remembrance Service on Sunday 10th November. Thanks to the Year 11 pupil at Woolmer Hill school who sent me this photograph, which is part of his portfolio for an application to Guildford College. Agreed to join steering group for Waverley Borough Council’s Haslemere Conservation Area Appraisal. A 6 week consultation period will begin in March 2014. The steering group will feed into the consultation. Agreed the tree at the junction of Lower Street and Shepherds Hill will be removed and a substitute will be re-planted once funding has been agreed. Attended this evening and presented my County Councillor report (contents contained in this blog update). Each Local Committee also has £35,000 of Capital Funding allocated for 2013/14. Please contact me if you would be interested in applying for funding for a community project at nikki.barton@surreycc.gov.uk. The application process has been simplified and is now a straightforward process. Once an application has been agreed, funding is transferred to the applicant within 2 weeks. Fibre based infrastructure to over 84,000 Surrey homes and businesses, of this over 15,900 in Waverley. Guildford Borough Council’s parking team run on street parking in Waverley as well as running both on and off street parking in Guildford and the park and ride sites. Civil Enforcement Officers (CEOs) normally work between 7:30am and 18:15pm Monday to Saturday. Targeted patrols are also arranged outside of working hours to deal with problems that occur outside of the normal working day. The three CEOs are split between the 4 main centres and surrounding areas in a ratio of Farnham (1), Godalming (1), Haslemere (0.5) and Cranleigh (0.5). It has been agreed that surplus generated on the borough or district parking account will be split: 60% to local committee, 20% to the enforcement authority (district council) and 20% to the county council. Regular reviews are needed in order to help improve road safety, increase access for emergency services, improve access to shops, ease traffic congestion and better regulate parking. In March 2013 Dementia Friendly Surrey launched countywide. For more information please visit www.dementiafriendlysurrey.org.uk. A Recognition Scheme has been launched, recently Cranleigh held a meeting with local partners to discuss how the village could become more dementia-friendly – could we look at doing the same in Haslemere? The Local Government Association’s Ageing Well programme in Surrey is a collaborative programme of work between the voluntary sector, public health, social care and wider partners to ensure that people are able to live healthy, independent lives, where older people are at the centre of decision making about services and designing new ways of working. For more information: www.surreyinformationpoint.org.uk. Sure Start brings together services for young children from birth to 5 years and their families in a multi-professional way. Core purpose: child development and school readiness, parenting skills and child and family health and life chances. In Haslemere, the Tennyson’s Sure Start Centre, at St Bartholomew’s Primary provides an invaluable resource for families. Communication from John Furey, Cabinet Member for Transport, Highways and Environment. Street Works is changing. On the 11 November this year a new Permit Scheme was introduced to control works being carried out on Surrey’s roads. This replaces the current system known as Noticing. Stronger council powers to cut roadworks misery – Road users plagued by roadworks will benefit from a new congestion crackdown launched this week by Surrey County Council. For years, the law has allowed different companies to dig up the same roads at different times, costing the local economy millions a year and causing misery to road users. Now the council is taking control of who digs where, when and with whom by introducing a permit scheme. If companies fail to plan enough to limit their impact on traffic, they will be refused permission to do the work. It is estimated this permit scheme means there will be up to 2,400 fewer roadworks in the county every year, will reduce congestion and save Surrey’s economy around £6.5 million a year. Hi-tech glue revolutionises road repairs – A high-tech glue has revolutionised Surrey’s road repairs and is set to save taxpayers millions by recycling old roads and making them new. Instead of ripping up old roads and laying new ones, Surrey County Council is now mixing a super-flexible glue with recycled tarmac to transform it into a brand new surface. Gritters swing into action – Surrey County Council’s winter operation has swung into action. The council’s fleet of gritting lorries was out this week for the first time this winter after road surface temperatures dipped. Ahead of winter, Surrey stockpiled 16,000 tonnes of salt, prepared 39 hi-tech gritters and signed up an army of farmers equipped with spreaders and ploughs. In addition, more than 1,800 roadside grit bins were filled. Roads were gritted extensively over night 19th-20th November. Communication from Claire Potier, Principal Manager Admissions and Transport (Strategy). Surrey County Council is consulting on its home to school transport policy for 2015. Details of the consultation and a link to the online response form are available online at www.surreycc.gov.uk/schooltransportconsultation. In the current economic climate, Surrey County Council is not proposing any change to its home to school transport policy for 2015. With the cost of transport increasing, Surrey is working hard to ensure that its expenditure under existing policy remains within budget. Any proposal to extend or vary policy would lead to an increase in expenditure on home to school transport and any increase in expenditure would be likely to impact on other services that the Council offers as Surrey would need to consider making savings elsewhere to fund that increase. details of any suggestions for change (recognising that any additional expenditure on home to school transport would mean that Surrey would need to make savings elsewhere). Details of this consultation have been sent to all Surrey schools and early years providers along with a form of wording that they might use on their websites, in newsletters or on notice boards. However in order to reach a wider audience I am sharing with readers here. Lions Club of Farnham are promoting an initiative called ‘Project Wenceslas’ which invites people to donate their winter fuel payment if they are not in need of it, which will then be directed to those that are in real need of this assistance. Please note that you don’t have to be receiving a winter fuel payment to make a donation, this can be done directly by logging on to their justgiving website. WBC Executive, following a letter from government, has agreed to give one free day car parking on the Saturday at the start of December across the Borough. Local Road Safety Index (via Evening Standard) After months of planning and development, Road Safety Analysis – who independently collated and analysed more than 200,000 pieces of data from the Department for Transport and AXA – have launched the ‘Local Road Safety Index’. In the past 6 years more than half a million collisions took place on local roads within a 500m radius of British schools, 85,814 children have been killed or seriously and slightly injured. 67% of parents feel that road safety is an important factor in choosing a school. The index examines all road related incidents within a 500m radius of schools, parents can enter their post codes and see how safe the roads around their schools are. The sponsors AXA are asking volunteers across the UK to complete a survey assessing speed limits, road markings and crossings. Data from the surveys is to be assessed alongside data of the number of incidents in that area to identify what works. Aim of helping to bring down the number of casualties down to 1,500 by 2020, a 40% reduction from 2011. To find out more about the overall road safety nearest your local school visit this page. This entry was posted in Haslemere first, Meetings and tagged Councillor, Haslemere, Independent, Surrey County Council on November 21, 2013 by admin. 1. Highways Localism Funding: Meeting at Town Hall with representatives from Haslemere Town Council, SCC Highways and Localism team to discuss HTC submitting a bid for Highways Localism funding. Pot of £20,000 funding to be shared between 21 Town and Borough Councils in Waverley for minor local highways maintenance, not within SCC usual remit. Slightly confusingly the scheme was previously called the Lengthsman Scheme. Although the deadline is tight, we collectively agreed that HTC should submit bid for £2000 to pay for a week of a fully equipped work gang that could carry out small tasks, for example, sign cleaning, railing repair etc. around the town. 2. Dangerous condition of Derby Road in front of St Bartholomew’s School: interview with Haslemere Herald. The short section of Derby Road that runs between Church Lane and High Lane is ‘un-adopted’ and therefore not maintained by SCC. One estimate for repair of this section of road is £11,000 which would have to come out of school education budget which I believe is inappropriate given St Bart’s school is a local authority school. Re-contacted SCC Highways, and SCC Estates department to understand SCC position.As the main frontager on this section of highway, St Bartholomew’s School is responsible for maintaining the road. SCC Highways could technically serve a section 230 enforcement notice on the school to repair the road. However, clearly SCC is not able to serve notice on itself as the ‘owner’ of the school estate. Very positive support for my position from MP Jeremy Hunt in the Haslemere Herald. 3. Support for Haslemere Businesses: Received a letter from owner of High Street business setting out the current crisis facing shops and businesses in Haslemere High Street. Sent invitation to the 5 Haslemere Borough Councillors, Haslemere Town Council and Chamber of Trade and other businesses to meet to explore how, as elected representatives of the community, we can work together to support the economic vitality of the community. Meeting planned for next week to discuss possible initiatives. 4. South West Area Briefing for Local Committee Members, Shalford Village Hall. Haslemere is part of the Waverley Local Area Committee (LAC), which also covers Farnham, Cranleigh and Godalming. 9 county councillors and 9 borough councillors sit on the Waverley LAC. The South West Area of Surrey also includes the Guildford LAC. There are 11 LACs across the county of Surrey. SCC’s Community Partnership Team provides the support link between county councillors and the LAC. From May 2013 the dedicated Waverley LAC contact is David North, Community Partnership and Committee Officer, Delia Davies as Local Support Assistant. Decision-making at SCC takes place at 3 levels. Countywide policy making takes within the cabinet led by the Leader David Hodge and the Deputy Leader Peter Martin. The work of a number of select committees support and inform the work of the cabinet. Local area committees are intended to work closely with local residents, partners and businesses and provide input to both the work of the cabinet and select committees. LACs make decisions about highways, the local prevention framework for young people, library opening hours and rights of way (a quasi judicial function). Residents in Haslemere have had some very challenging experiences of the Waverley LAC over the past 16 months, in particular during the attempt by SCC to introduce pay and display to our community. The Community Partnerships Team how they plan to improve how the LAC functions, including greater investment in public participation with the introduction of professional public address systems, information leaflets and posters, clearer format for agenda, reports and minutes and improved web presence. The Chairman/woman will be given greater discretion over the running and management of meetings, and in addition to the public questions at the start of the meeting may take a public question at the start of the item on the agenda if it relates to that item. It will be made clear to the public that LAC meetings are private decision making meetings held in public. The public deadline for submitting a formal question/statement before an LAC meeting will be shortened to 4 working days, petitions must have a minimum of 30 signatories (or at Chair’s discretion) with 3 minutes allowed for the presentation of the petition (at Chair’s discretion). Member’s Allocation: Each county councillor/member receives an allocation of £12,876 revenue funding per year to support projects that provide a benefit to the community and meet SCC agreed policies/priorities. Local Committee Capital Funding: each LAC has £35,000 allocated for 2013/14, how this is shared between the 9 councillors in the Waverley LAC will be discussed at the first informal LAC meeting on June 14th. Community Improvement Fund, £1 million : 2013/14. Applicants can bid for between £10,000 and £50,000. All projects have to meet the following criteria: Improve community facilities, make a real difference to people’s lives and encourage self reliance. The closing date for the first round of applications is 28 June, 2013 with decision taken on 11 Sept, 2013. The second round is open to bids from 28 June, 2013 closing date 19 November with a decision on the 4 Dec, 2013. Please contact the Community and Partnership Officer d.north@surreycc.gov.uk if you would like any more information about this scheme. 6. RAF/Rex Cinema Crash Memorial: Herald photo shoot with Mick Bradford and Libby Piper at the site of the planned memorial for the young pilots who died when the RAF bomber tragically came down over Gibbet Hill and crashed into the old Rex Cinema next to the current Eden Hairdressers. Mick is planning to start fund raising for the memorial stone, and we discussed the possibility of a storyboard at the site. Evening meeting in Haslemere Hall with a number of volunteers representing range of groups in the town to explain how they can make use of the interactive workshops we have designed. Please contact Haslemere Vision if you would like to get involved. 8. Shepherds Hill: Further contact with SCC Highways about the state of Shepherds Hill, residents and Haslemere Town Council concerned, in particular risk of damage to Festival of Speed vintage cars and motorbikes travelling through Haslemere. 9. Parking: Residents in roads receiving parking permits received their letters this week setting out zones and payment information. Review in December parking review at the LAC meeting. 5 June 2013 ROP Letter Haslemere. 10. Annual Report for Countryside Access/Rights of Way SCC has recent published its latest Annual Report for Countryside Access/Rights of Way. The report aims to give an outline of how SCC goes about managing public access to Surrey’s countryside and to give some facts and figures on the County Council’s work for the period 2012/13. You may view the report here. This entry was posted in Councillor Barton Update, Haslemere first and tagged Councillor, Haslemere, Haslemere first, Independent, Surrey County Council on June 10, 2013 by admin. Second induction day at County Hall, Kingston, including sessions on Environment and Infrastructure, Customers and Community, Adult Social Care, Children Schools and Families, Code of Conduct and a session on ‘Listening to our Customers’. Frustrated that most of the day spent listening to presentations on SCC facts and figures on services provided, when more useful would have been sessions with experienced re-elected councillors to give practical advice for newly elected members, e.g., how to respond to problems raised by constituents, the funding pots available to Haslemere, how to draw up bids to apply for funds as some have imminent deadlines for applications etc. Attended Independent and Residents’ Association group meeting. Confirmed I will sit on Local Area Committee and will for now be a substitute for Environment and Highways Committee. Met Highways & Transport team, John Hilder (Area Highways Officer, South West), Richard Bolton (Local Highway Services Group Manager) and David Curl (Parking Strategy and Implementation Team) at the Surrey CC site at Merrow. The site is shared with SCC highway contractor May Gurney and Skanska, SCC lighting contractor. There is also an on site laboratory for product testing. Was shown the high tech pot hole call centre with 4 large screens showing live information including local weather, incoming calls and e-mails reporting holes, and real time pot hole repair team location. You can report by logging a pothole online or in the case of emergencies by calling SCC on 0300 200 1003. Discussed introduction of residents’ permits scheme in Haslemere in late May/early June. Expressed my concern about some elements of the scheme. Agreed that where a residents’ parking permit scheme does not function properly it can be assessed and withdrawn under the December 2013 Parking review. Highways team explained that Waverley Local Committee makes decisions on Highway Improvement Schemes (ITS) in the four areas of the Borough (centred around Haslemere, Cranleigh, Godalming and Farnham). The ITS schemes collectively form the Waverley Local Transport Plan (LTP). £317,000 Maintenance Revenue (can be used for ITS schemes or capital maintenance. Looking forward to the training session on June 4th to understand how councillors prioritise their local improvement schemes and how to bid for a share of this allocation. I understand that whilst other Local Committees share the pot equally between member Councillors, the Waverley Local Committee shares the allocation following negotiation between members of the Local Committee. Local transport plan (LTP) task groups represent the four areas of Waverley, Haslemere is represented by the Haslemere and Western Villages Task Group. An additional Community Pride fund of £5000 is allocated to each councillor for community enhancement. Attended the Haslemere Vision organising group meeting. Site visit with Ferris Cowper, East Hampshire County Councillor, to route of proposed footpath for Woolmer Hill pupils walking to school from Hindhead/Grayswood which crosses from East Hants into Surrey. Agreed to work together to finalise last section of the route, and to liaise on other cross boundary issues, for example bus services between Liphook and Haslemere. In response to local residents’ complaints about new railings installed in the Shepherds Hill (and recently in Lower Street) conservation area, agreed with SCC Highways that works should be halted. Site visit held with John Hilder (Local Highways Manager), Sarah Wells (Waverley Borough Council Conservation, Planning Projects Team Leader) and Daniel Payne (SCC Supervising Engineer). Concluded although there are real concerns that the railings fail to meet the Haslemere Design Statement requirements that “any development should be sensitive to the quality of surrounding environment”, it would be a waste of taxpayers’ money to remove the new railings. Residents however will choose their preferred colour and SCC has agreed, as a gesture of goodwill, to replant gardens on Shepherds Hill damaged during installation. It is clear that lessons need to be learnt from this situation, and all parties agreed that in future, proper consultation with residents must be carried out when any proposals are brought forward. Met Cyndy Lancaster (outgoing town mayor) to discuss matters arising including Highways Localism Fund. Attended Mayor Making in the evening: the election and swearing in of the new Town Mayor, Libby Piper, in the Town Hall. Thanks were given to out-going mayor, Cyndy Lancaster, who has done a fantastic job working for the town during her year of office. Several Conservative party members commented on how effective the use of social media had been in the election campaign. The fun party atmosphere on the steps of the Georgian Hotel on polling day, and the number of younger voters was noted. Held firm on my view that HTC meetings to discuss grant allocations should be held in public, not as currently in private/exempt. A presumption of openness should be upheld for all meetings unless agreed by all to be of particular sensitivity. Met Chairman of the Derby Road/Weydown Road Residents’ Association to discuss the need for additional lining on the lower part of Weydown Road. The current situation, with cars parked on both sides of the road, is causing safety problems. The lining proposed should not result in any significant displacement. Agreed to discuss with David Curl. Also discussed the dangerous pothole situation on Derby Road in front of St Bart’s school. This stretch of Derby Road is currently considered by SCC to be ‘unadopted’ and so not maintained by SCC. Agreed to discuss with SCC Highways to find a solution. Discussion with Lynne Martin, Senior Project Manager, SCC Environment and Infrastructure to understand how Haslemere can benefit from a share of a £20,000 Highways Localism fund to be divided among 21 Waverley parish/town councils by the Local Area Committee. Highways Localism fund is intended for minor highways maintenance such as vegetation clearance, extra grass cutting etc. Agreed to meet with Lynne and Haslemere Town Council representative to put bid together before May 31 deadline. Met with Carmel Millar, my SCC mentor in Haslemere today. Carmel is head of Human Resources. Joined by Richard Oldham, Manager Haslemere Hall and Cyndy Lancaster. Agreed investment in building relationships between Haslemere and SCC is needed. Carmel has asked me to give a testimony in SCC training session on organisational Values and Culture. Discussion also focussed on SCC’s misperception of Haslemere as ‘wealthy commuter town’, I shared with Carmel that a foodbank is starting in the High Lane Community Centre. Contacted by a resident concerned that SCC Highways were planning to stop cars turning left from bottom of Longdene Road towards Weyhill. Email sent to David Curl for clarification. I will aim to write a councillor log at least every two weeks. This entry was posted in Councillor Barton Update, Haslemere first and tagged Councillor, Haslemere, Haslemere first, Independent, Surrey County Council on May 18, 2013 by admin. I was interviewed by Nick Wallis on BBC Surrey this morning. Listen from 1 hour 10 minutes in: http://www.bbc.co.uk/programmes/p01844gk (available for 7 days). This entry was posted in Haslemere first and tagged Councillor, Haslemere, Haslemere first, Independent, Surrey County Council on May 11, 2013 by admin. I was very grateful for the welcome I received from the other 8 Independents at County Hall and for the cross party support I have had. I am pleased to have Carmel Millar, SCC’s Head of HR and Organisational Development, as my mentor. 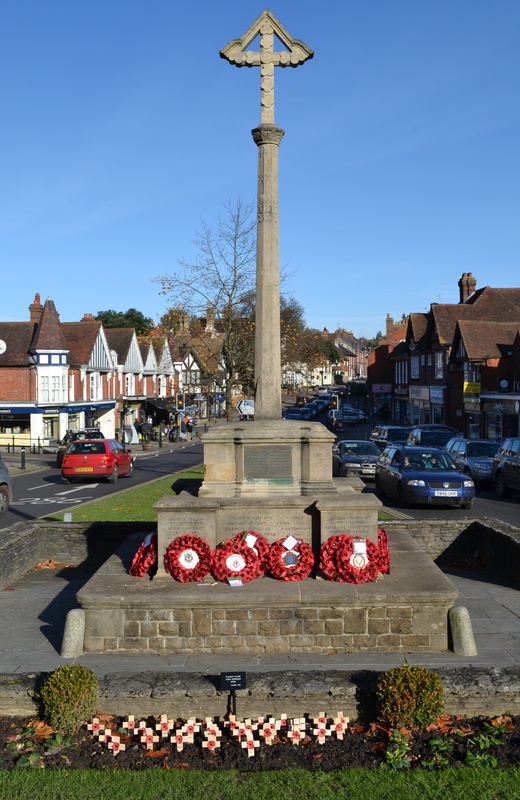 Carmel is coming to Haslemere on Friday, May 17th, 2013 and I plan to show her what a great town we live in as well as the challenges we currently face. Raised the issue of potholes on Shepherds Hill with Surrey County Council Highways and had confirmation that they will be repaired tomorrow. Be warned there will be a bit of disruption as there will be a Stop/Go traffic system in place. There is an area of ‘scabbing’ at the bottom of Shepherds Hill which will need heavier equipment to repair, and require a temporary road closure. I will let you know when a date has been fixed for this work. Major maintenance is planned for Shepherds Hill later this year when it will be resurfaced as part of Project Horizon (go to page 58). 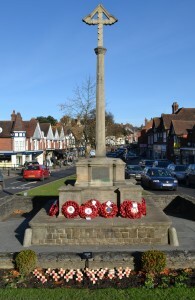 Met with Haslemere Town Council’s Clerk, Lisa Sullivan, to discuss issues including the RAF memorial in Weyhill, the pressure on primary school places, the poor state of the grass on the Memorial triangle with the possibility of finding funding from the Lengthsman Scheme to cobble the margins which are permanently affected by salt spray damage, the function of the Haslemere and Western Villages task force, the Walkers are Welcome Scheme, the need for promotion for shops and businesses and the availability of other SCC funds for town improvements. Reached an agreement with SCC and WBC that Lower Street/Shepherds Hill Residents’ Association will liaise collectively to decide on the railing colour of their choice. SCC have agreed to paint in colour of residents’ choice. Received highways’ requests regarding the condition of Derby Road outside St Bartholomew’s School, the safety issue of double parking on Weydown Road, parking on blind bend on Kings Road. I am meeting with SCC Highways team on Tuesday, May 14th, 2013 in Guildford and will raise these issues. Contacted SCC Highways following concerns raised by Haslemere Town Council and several residents over loose drain cover at bottom of College Hill causing safety issues. SCC Highways confirmed that cones will be placed around the drain (a lug is broken) and a repair will be carried out within 28 days. Contacted by Ferris Cowper, Hampshire County Councillor, to ask for my support with a proposed footpath to Woolmer Hill School. I am meeting with Ferris on May 15th on site, I fully support any projects that make it safer for our children to walk or cycle to school. Read Life Magazine’s coverage. Signed off Local Authority Governor for a local state school. The next Surrey County Council Local Area Committee (Waverley) will meet on Friday, 5th July, 2013 at 2pm. I learned this week this will be at Hale Institute, Farnham. It will be preceded by a public question time at 1.30pm. This entry was posted in Haslemere first and tagged Councillor, Haslemere, Haslemere first, Independent, Surrey County Council, Surrey County Councillor on May 10, 2013 by admin. Thanks to everyone who voted for me and thanks for the messages of encouragement. Today is my first day at County Hall. A draft schedule of the day’s events is outlined in Annexe 5 of Surrey County Council’s prospective councillors’ booklet. I’ll be back in County Hall on 13th May 2013 for presentations and workshops. On 21st May 2013, it is the council’s full AGM, View the webcast online. Please note the next Waverley Local Area Committee will meet on 5th July 2013 at 2pm. Venue to be confirmed. This entry was posted in Haslemere first and tagged Councillor, Haslemere, Haslemere first, Surrey County Council on May 7, 2013 by admin.